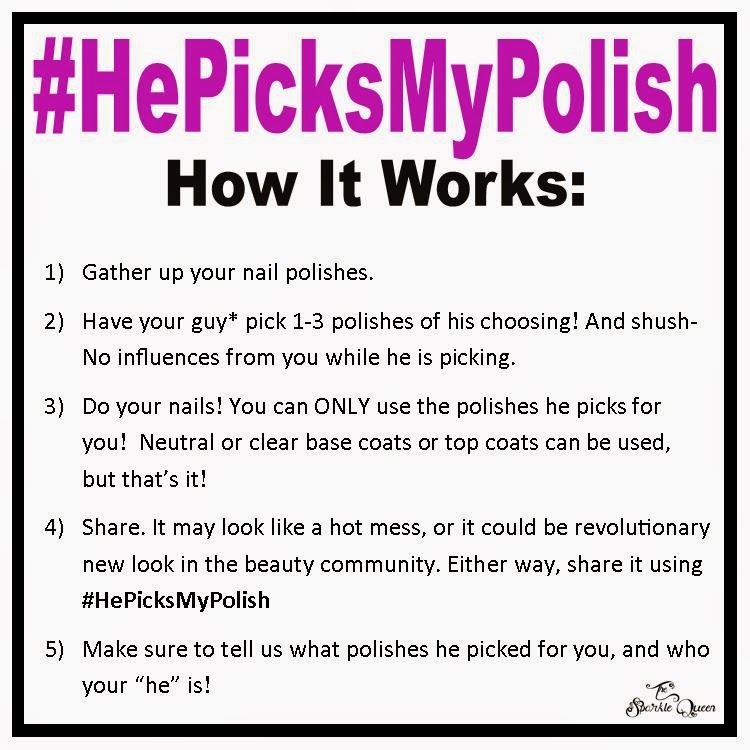 #HePicksMyPolish Challenge is happening April 27th – May 3rd. out! Will be a disaster or masterpiece – nobody knows! and upcoming challenges in the group. If you’d rather skip straight to the code to share, get it HERE on Inlinkz. 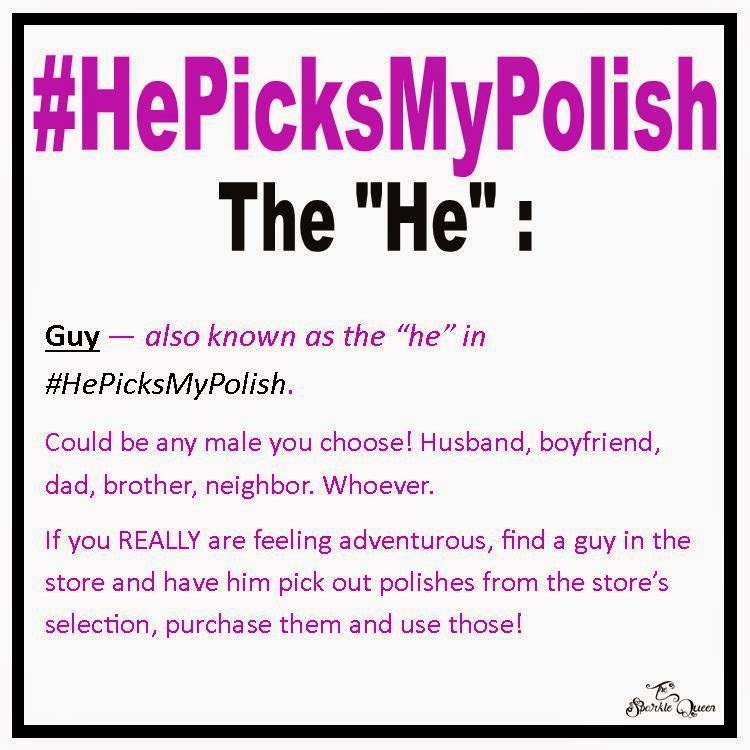 Sounds and looks like a fun challenge. Hooray! Can't wait to do this one again! I'm excited too 🙂 Can't wait to see all the lovely creations!